SAN ANTONIO,TEXAS – “We got the greatest re­sponse. Thumbs up for us and the boycott,” said Frances Estrello of Fuerza Unida. She was describing the 125-person picket, held on July 27 outside a Miller’s Outpost here, to kick off a consumer boycott of all Levi’s products. Fuerza Unida is the organi­zation of the workers laid off from the Zarzamora Levi’s plant. Fuerza Unida plans to travel around Texas to Austin and Houston to spread the word. Also, Fuerza Unida re­ceived two boosts recently when MALDEF (Mexican American Legal Defense and Educational Fund) joined in to help with the workers’ lawsuit, and the MEChA Chicano students at the University of Texas, San Antonio, started to give their support. Frances Estrello of Fuerza Unida told Unity, “Levi’s are not willing to come to the table with us. So we have been forced to do this boycott. The pur­pose of the boycott is to get the 15 demands.” These, some of which are contained in a lawsuit that the workers have brought against Levi’s, include a study of ways to reopen the plant, extending worker bene­fits, and no more shutdowns without notice. 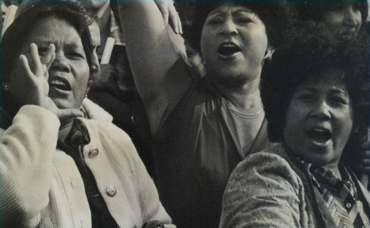 Levi-Strauss closed down the Zarzamora plant on January 16 and laid off 1,100 mainly Mexicana and Chicana women. (See Unity vol. 13 #9.) The closure has disrupted the lives of the workers and their families. “People are losing their homes, they are losing their cars, we’ve got a lot of disconnected phones, there are bills that have to be paid,” said Frances Estrello. The Zarzamora plant is only one of 26 plants that Levi’s has closed down.The Zarzamora plant opera­tions are being moved to Costa Rica. Levi’s pants now have labels from Malaysia, the Do­minican Republic, and Korea. Levi’s is taking advantage of the Caribbean Basin Initiative. The Initiative gives tax breaks to U.S. companies doing manufacturing abroad. “It’s a way for these businesses to use very cheap labor markets, and they don’t leave anything in those countries,” says Fuer­za Unida attorney Jacqueline Schoonheim. What they leave in the U.S. is unemployed workers and economically depressed neigh­borhoods. Maria Sixtos of Fuerza Unida pointed out that 75% of the laid-off workers live in the Southside community. Small businesses in that neigh­borhood are suffering because people simply don’t have any money to spend. The state of Texas is supposed to assist the laid-off workers with education and retraining, but the state bureaucracy has been slow and racist. Fuerza Unida has had to fight for enough classrooms, and they’ve had to fight for books. 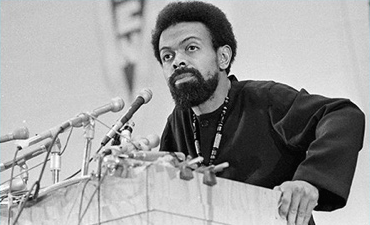 Before Fuerza Unida stepped in, the state was writing to the workers in English, when most speak Spanish. 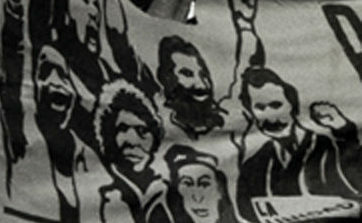 Before Fuerza Unida protested, workers applying for retraining were told such things as, “Have you ever seen a Black or Mexican be president.” Al­so, workers have been refused aid with paying bills because they were “Mexican” when they are in fact U.S. citizens or legal permanent residents. 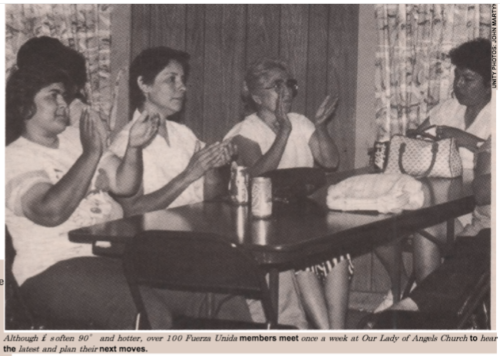 Fuerza Unida is growing as a strong and disciplined organ­ization of the laid-off workers, and as Frances Estrello said, “People are adjusting to what has been set before them. ” As well as the new support they have received from MEChA and MALDEF, they have also received calls of support for their boycott from unions in Mexico and England.If you would like to contri­bute money to assist them with court costs, send donations to: Fuerza Unida, P.O. Box 830083, San Antonio TX 78283-0083. John Martyn is a Unity staff photographer who wrote this story from a recent visit to Texas.